Philadelphia fans certainly have a bad reputation in the ​sports world, and rightfully so. Among the things they are known for, booing is probably their biggest claim to fame. Well, their reputation certainly held true during Wednesday's ​Phillies game against the Washington Nationals. 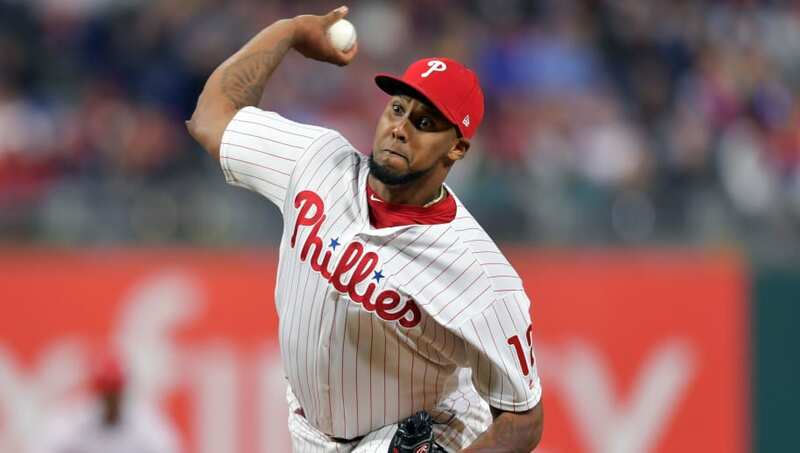 Phillies fans booing Juan Nicasio, a reliever, for striking out with two runners on base down 9-0 in the 5th. ​​We've seen fans do a lot of dumb things in the past, but this has to take the cake as the dumbest thing ever booed in a baseball game. I mean come on, I know you are getting absolutely shelled but there are other ways to show your frustration besides going a freakin' reliever AT BAT when you're down by nine runs. Are you kidding? But perhaps nothing should really surprise us when it comes to Philadelphia sports fans, but it's hard not to call out this nonsensical behavior. They've already ​booed Bryce Harper, who is currently fourth in the National League in OPS, but booing a reliever for striking out when you're getting blown out is just a whole new level of absurdity.